Nyungwe forest is situated in south-west Rwanda between Lake Kivu and the international border with Burundi. Nyungwe is divided north-south by a line of mountains that reach 2,600–2,900 m and which form part of the Congo–Nile watershed. As a result, Nyungwe is composed of two areas differing in pedology, vegetation, water-flow, and biodiversity. The soils in the western section are schists and support dense forest between 1,700–2,000 m. The eastern part, on granitic soils, lies higher (2,200–2,500 m) and the vegetation here is, characteristically, secondary forest with many clearings. Over 250 tree species have been recorded. Chrysophyllum, Entandophragma, and Newtonia dominate the forest at lower altitudes. Syzygium guineense, Carapa grandiflora, Parinari excelsa, Strombosia, Symphonia, Beilschmiedia and Ocotea usambarensis are found in the primary forest. Average annual rainfall is in the range 1,500–2,500 mm; amounts decline from west to east, with the south-west the wettest. 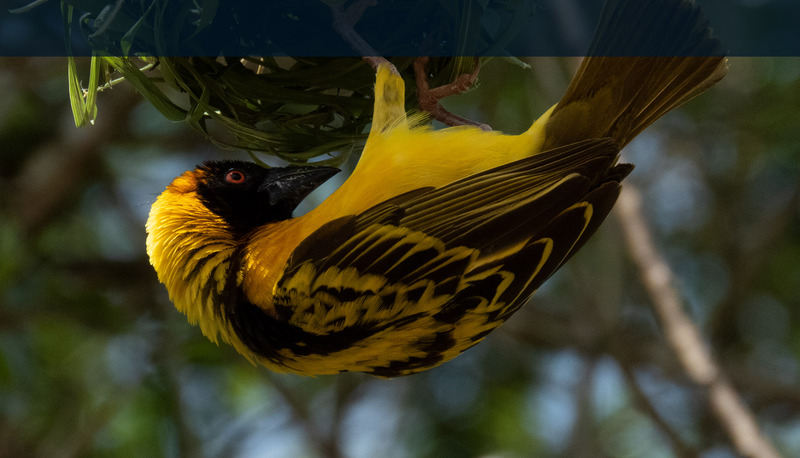 This wonderful birding area lies west of Butare, with the Butare to Cyangugu road passing straight through the middle, provides excellent roadside birding. Over 275 species have been recorded in Nyungwe, reflecting the wide habitat diversity and altitudinal range. These include all the 25 species of the Albertine Rift mountains Endemic Bird Area that occur in Rwanda, Chapin’s Flycatcher and Rockefellers’ Sunbird (both globally threatened, restricted-range and biome-restricted). Also, 11 of the 23 species of the Guinea-Congo Forests biome and 71 of the 74 species of this biome of Afrotropical Highlands that occur in Rwanda have been recorded at this site. 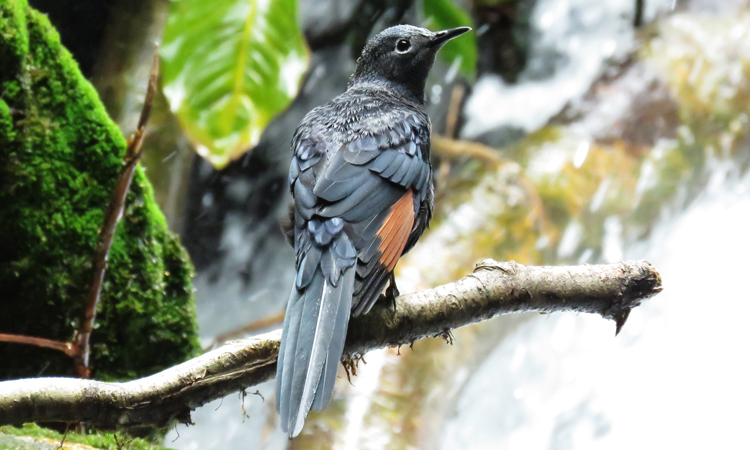 Generally, Nyungwe is undoubtedly the most important forest for the conservation of montane birds in the region. Plant diversity is high, although the level of endemism is low, with Pentadesma reminders and a few herbaceous species and orchids currently only known from Nyungwe. Thirteen species of primate occur including man’s closest relative; the Chimpanzee, L’Hoest’s Monkey, Owl-faced Monkey, Mona Monkey, Blue Monkey, Golden Monkey, Red-tailed Monkey, Vervet Monkey, Grey-cheeked Mangabey, Black and White Colobus, Eastern Needle-Clawed Galago, Greater Bushbaby, Dwarf Galago, and Olive Baboon. Other mammals include; Giant Forest Squirrel, Mountain Sun Squirrel, Boem’s Squirrel, Lord Darby’s Flying Squirrel, Giant Forest Hog, Bush Pig, Tree Hyrax, Lestrade’s Duiker, Black-fronted Duiker, Yellow-backed Duiker, Leopard, Golden Cat, Serval Cat, Wild Cat, Side-striped Jackal, African Civet, Two-spotted Palm Civet, Genet Servaline, Large-spotted Genet, Slender Mongoose, Marsh Mongoose, Ichneumon Mongoose, Congo Clawless Otter and many more. Nyungwe holds many Albertine Rift endemics, including seven of the 12 species of Soricidae, one species of bat, Rousettus lanosus, two species of squirrels, Funisciurus Carruthers and Heliosciurus Ruwenzori, five of the 12 species of Muridae and the chameleon Chamaeleo johnstoni. An amphibian is endemic to Nyungwe, the caecilian Boulengerula Fischer. Two species of butterfly are endemic to Nyungwe Bebearia dowsetti and Acraea turlini while Papilio leucotaenia, restricted to a small area of the Albertine Rift, occurs commonly in Nyungwe.